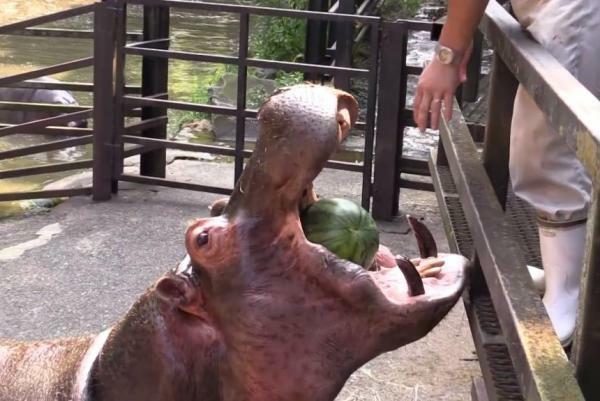 A Japanese zoo showed off the jaw power of some real-life Hungry Hungry Hippos by demonstrating their ability to devour whole watermelons, UPI reports. The video, posted by the Nagasaki Bio Park, shows a keeper at the zoo tossing whole watermelons into the mouths of the hippopotamuses, which chomp down on the large fruits to explode them in a way that would make Gallagher’s hammer envious. They eat like such a Chaya’s.